Sowing is the most important process in farming. It is a very tiring and time consuming process that requires a lot of human effort. 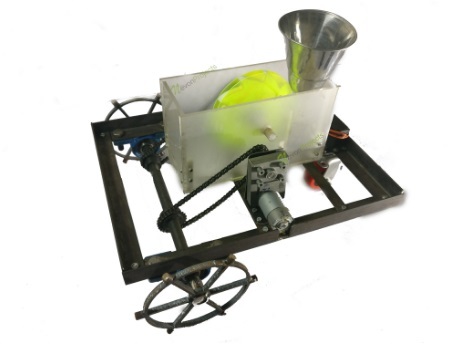 Here we propose the design and fabrication of a fully automatic seed sowing robot that automates this task. The proposed robot uses four motors for running it in desired directions. We use a small bracket for pouring seeds. 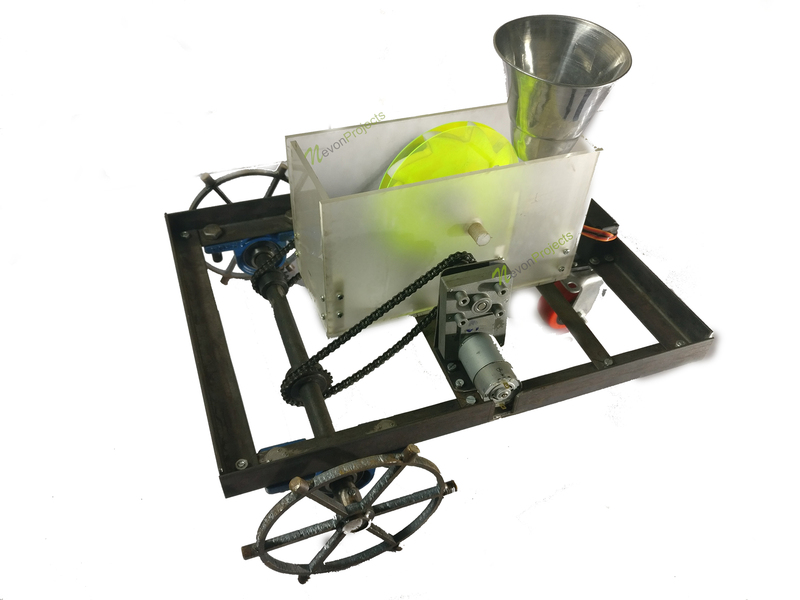 The robot consists of a funnel like arrangement in order to pour seeds into a lower container. 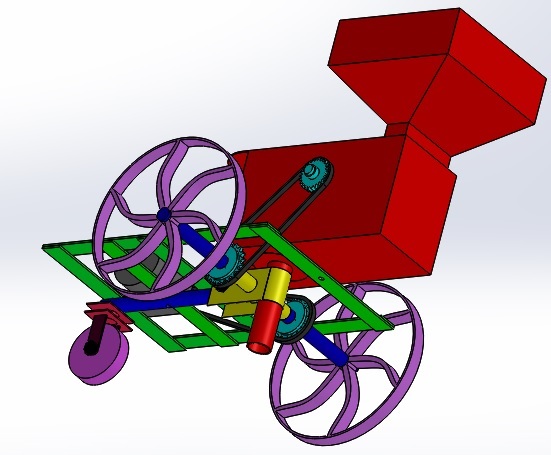 There we use a shaft with gear like bucket teeth to pick up limited quantity of seeds and pour them on the ground in a steady manner in proper quantity. The front of the robot can be further fitted with a bent plate that drags on the soil to make a slot ahead of the machine before seeds are poured in it. 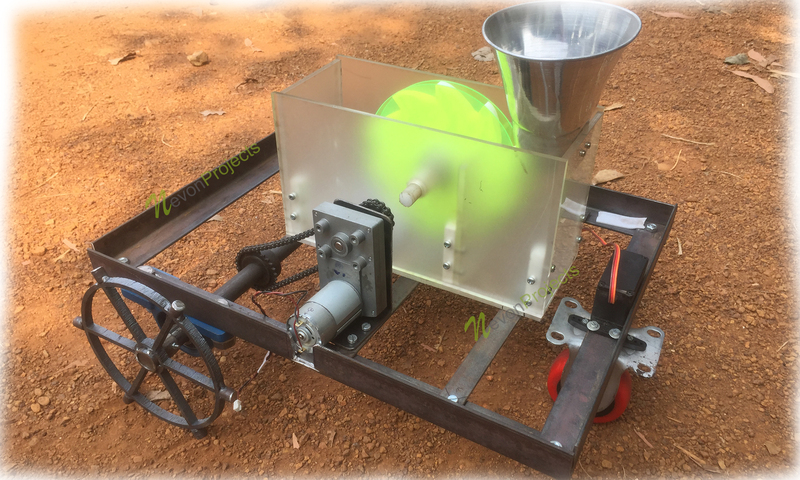 The back portion of the robot can be fitted with a tail like bent rod that is again used to pour soil on seeds sowed thus covering them with soil. Thus the system completely automated the seed sowing process using a smartly designed mechanical robotic system.